A family-run business with over 50 years in the industry, Holdcroft Motor Group is one of the biggest car retailers in the West Midlands. Best known for their approved used car stock, Holdcroft Motor Group dealerships also have new models from several popular brands for sale. In addition to car retail, they stock new and used commercial vans, lease business vehicles, and offer servicing and parts. Holdcroft also runs a Motability scheme for disabled drivers. For customers looking to pay in instalments, Holdcroft can offer affordable finance plans. If you’re looking to sell, then they also offer car valuation services. Founder Terry Holdcroft established Holdcroft Motor Group in 1966, when he opened a used car dealer business in Hanley, Stoke-on-Trent. 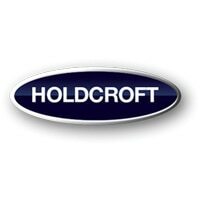 Quickly establishing a reputation for friendly service and quality value for money, Holdcroft began to expand across the region. The company opened a Toyota franchise in Stoke-on-Trent in 1970, and five years later their first Honda franchise. Holdcroft franchised other popular brands in the 80s and 90s, allowing the company owners to expand further and open two purpose-built dealerships in Cheshire Oaks in 2013. Today, they are one of the largest vehicle dealer groups in the UK, with 24 different sites across Crewe, Cheshire, Warrington, Stoke-on-Trent and Northwich. Their dealers represent a number of marques, including Honda, Hyundai, Dacia, Nissan and Renault. In one of the company’s dedicated franchises, you’ll see brand new desirable models, such as the Honda Jazz or the Nissan Pulsar. You’ll also find a variety of different styles, with family-friendly vehicles, compact hatchbacks, SUVs, and even high-performance sports cars on offer. Holdcroft’s second-hand stock provides even more variety, and numerous non-franchise manufactures – like Audi, BMW, Ford and Vauxhall – are represented. With these approved used vehicles, you’ll enjoy a minimum three-month warranty and a free accident aftercare package.